This is it. This is your life. There is no do-over. This is it. Yup: This is it. Pay attention. everyone is getting younger and younger and I don’t feel like I’m aging. Only the body ages…awareness is ageless and timeless. Life force flows through my body bringing me to Healing so that I might come to perfect flow. Flow is thriving good health. The chronically ill body healing is a vehicle into the light. Capitalism relies on a population of addicts. Capitalism is a perfect reflection of our hearts desperately seeking love and attaching to all the wrong things. The level of despair in our population is excruciatingly painful if we’re awake. Otherwise we just point the finger at everyone who we say is the problem. Feel into our culture and society. It is in feeling that despair and pain that we release it and heal ourselves and others. In the United States, like it or not, we are all spawn of the patriarchy. None of us are free from that reality –male or female– we are children of the sick system. We change it by lovingly transmuting it within us and without us. if people only knew and embraced the power of plants we’d be living in completely different circumstances on this planet now…I frequently face disbelief when I share the transformative healing I’ve found with plants… after almost dying more than once by pharma induced toxicity it’s a wondrous and beautiful thing to discover the power of plants. The idea that we have any control is an illusion of the ego– it’s certainly a comforting thought. Surrender is the only way to find oneself in alignment with life force and in surrender there is no control. — We may not be able to control our thoughts and feelings but we can simply watch them and not engage them that is a part of developing Consciousness and not particularly a choice that involves control. see: Free will, free choice. Really? With chronic illness we learn to manage the multiple microorganisms in our bodies. We have a community living in our body. Just as we must learn to live with our diverse human family, we need to learn to manage and host our bodies diverse population of microorganisms. This is everybody’s task however it becomes critically important and one must become highly conscious about what is happening in the body when one becomes chronically Ill because the balance of the microorganisms gets extraordinarily skewed. The bacteria in our microbiome is not some inconsequential collection. bacteria fungus and whatever else collects there is essentially, who we are, how we feel and what we believe. We are always a community when we are alone as well as when we are together as animals and beings. What a lot of people don’t understand is we truly never age. The body ages but that which animates the body is timeless and when one is awake it is the timelessness that one is aware of and in that we are Eternal children. What does your body need right now? Ideological attachment can be your enemy when you’re trying to learn to listen to your body. Your body doesn’t care what the keto people, vegans, paleo folks or anyone else is saying. It simply needs what it happens to need right now and that is kaleidoscopically variable. move forward and into every feeling you ever were unable to feel due to oppressive circumstances. Feel them, let go and be free. Like-minded means we share the same delusions. see: What flavor is your delusion? 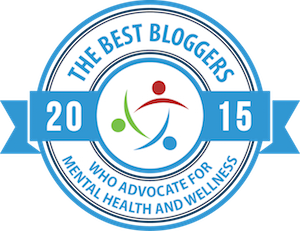 Support Everything Matters: Beyond Meds. Make a donation with PayPal orEnter Amazon via a link from this blog and do the shopping you’d be doing anyway. No need to purchase the book the link takes you to. Thank you! 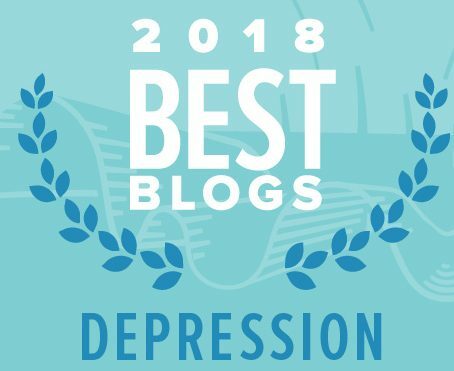 Dear Monica, you have so many “Best Depression Blog” awards, even though what you write is so far beyond depression! Thank you so much and lots of health and healing to you. Hi Monica, Excellent! What you say all seems so very true to me. Lots of matching up with my own experiences, with so much learning every day, having been med-free for more than 8 years, after 14 years on psych drugs that I may never had needed had I opted for better nutrition 22 years ago. I am forwarding a link to this page to many friends on similar journeys. I love Monica’s posts, full of sensitivity, insight and intelligence. It’s so obvious that she is extremely intellectual and I think brilliant, but also full of love, life, and compassion. Monica, I love your last comment, “The truth is I don’t fit in to the mental health scene in general,” thank goodness for you Monica. Neither do I. It’s an offense garble of garbage, with more garble than actual fact. I like and enjoy Will Hall btw, also compassionate and intelligent as “heck.” But that word, which T. Szass compares to being called a “dirty Jew in Nazi Germany,” sticks out (begins with an “S”), needs to be ‘put to rest’. There is no gene, no empirical fact of it’s existence, though people choose to label and perhaps associate with that label, so do other’s who associate with other non-existent entities of their belief and choosing and own issues of control. I’m sick of it, and the consequences that it bestows, be it incidental or otherwise. We have and had a destructive system of “mental he-ll” and here’s to the continued “mental hea-l” of those condemned and tortured victims (and unfortunate dead) of this sadistic and inane mentality. sorry…I found this in my spam folder. thank you so much for your kind comments. here is to our continued profound healing.